Well it's finally done - mixed, mastered, duplicated, barcoded and shrinkwrapped! 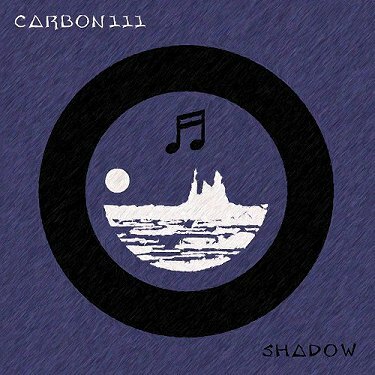 After a couple of namechanges, a new logo and a complete rework of the front cover graphics, my electonic-instrumental-"chill" album Shadow is finally ready! It's been a long six years in the making and I'm really proud of this release as I've taken my time and tried to address every little detail. Many songs had to be remixed numerous times so as to fit better within the "character" of the CD and some had to be saved for another release entirely as they didn't mesh well with the other pieces, most notable amongst these were my weird Serge Modular pieces - they'll be getting their own CD later this year, probably this Fall. 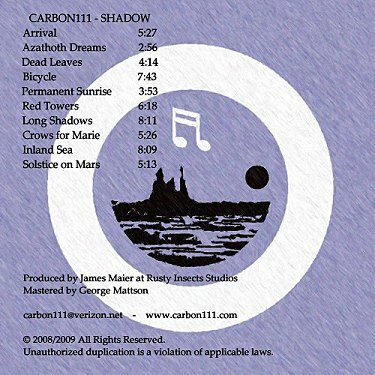 Mastering Shadow turned out to be a fairly hairy business that I eventually accepted was beyond a mere "mix engineer" like myself. After many days spent mastering, re-mastering and starting from scratch again, again and again, I decided to have a professional do it. I've discovered that mastering is very different than the kind of engineering I'm used to on the "frontend" of a piece of music. I called in George Mattson for the task and he has exceeded my highest expectations. A contemplative tune grounded by Nord Stage E-piano. 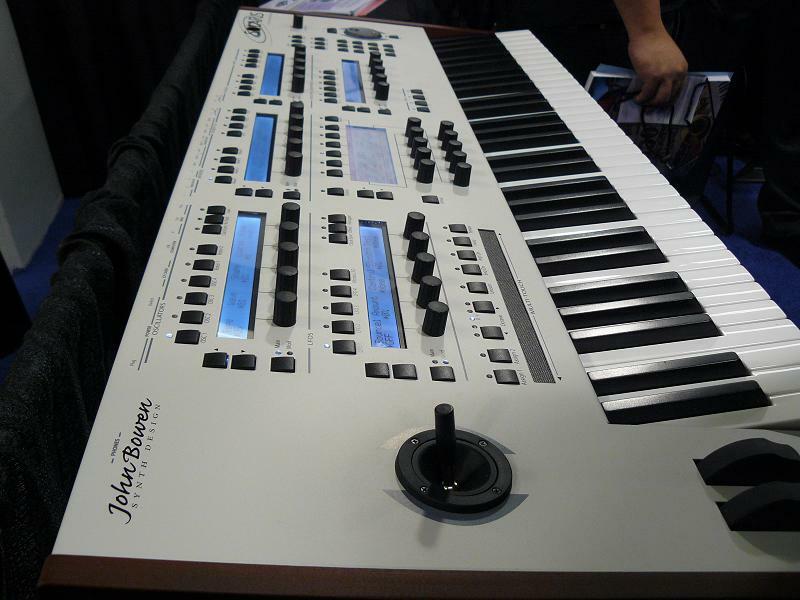 Lead synth is by Nord Wave, "rhythm" by Juno 60 and weird ambiences by NI Reaktor & NI Absynth 4. The SCI Six-Track takes up rhythmic bass duties while two pianos courtesy of the Nord Stage and NI's Massive weave complimentary lines. 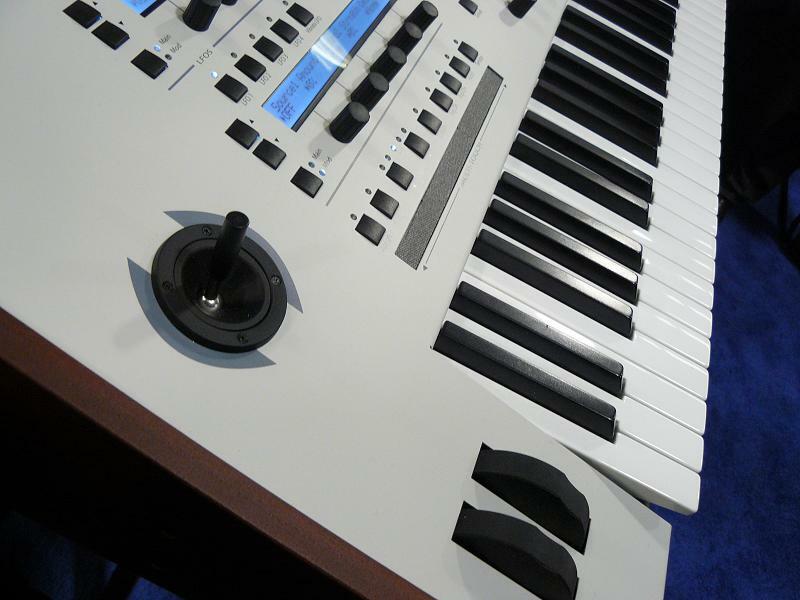 Oasys provides the FM pad and Absynth provides some ambiance. A "piano-ambient-thing". The piano is "Marie", my old Baldwin spinet, the background is Nord Modular percussion, Nord Modular insects, Nord Modular FM pad and a Prophet'08 triangle pad. Every year in January, the National Association of Music Manufacturers has a big bash down in Anaheim. For someone like me whose joie de vivre is heavily entwined with making electronic music as well as the tools of the trade, this tradeshow is like the ultimate "Disneyland for geeks". My friend and neighbor, John Bowen, is putting the finishing touches on what to me is the ultimate music synthesizer, The Solaris. Last year I helped demo this amazing device to all and sundry while simultaneously falling in love with its beautiful sound and deep programability. My experiences at N.A.M.M. were enhanced by the fact that I was finally able to meet some long-standing online friends in person and share some laughter and swap stories. 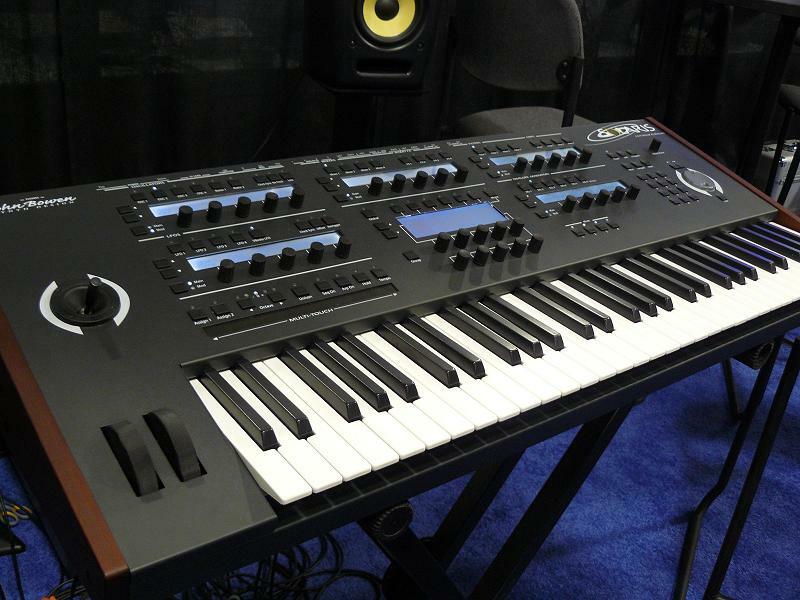 The Solaris has a richness of tone I'm not used to hearing from a digital instrument and the design is beautifull as well as relatively easy-to-use despite the fact that there are over 800 programmable parameters. While working on my soon-to-be-released album, Shadow, I was graciously allowed the use of a Solaris prototype. What a wondeerful experience! The Leica C (Panasonic LF1) Is The Perfect Pocket Camera!